A year of corporate downsizing in The Company Men should be no sweat for actors Tommy Lee Jones, Ben Affleck, Kevin Costner and Chris Copper in the lead. It’s a heavyweight top billing. Think back to Space Cowboys except this is not a comedy. 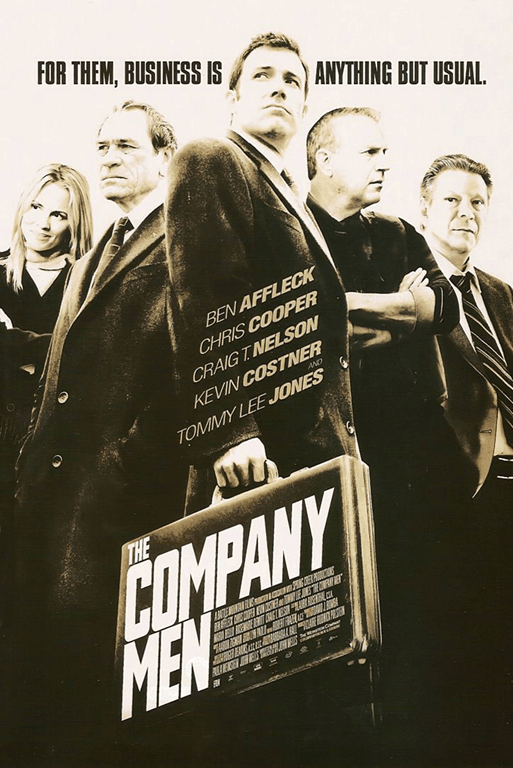 The Company Men is billed as a drama, but it should yield the same charisma from its leading men.